Aspinwall High School and University of Pittsburgh -lettered football and baseball. Pitt -Varsity football 1937-41. 3rd Air Force team 1944. Chicago All Stars 1945 (waryears). North South (Blue Grey) All-Stars 1945. Chicago Cardinals 1945, Pittsburgh Steelers 1946. Mt. Lebanon High School and Westminister College foot­ball. 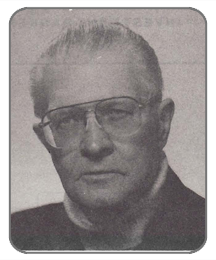 Officiated 1950-86. 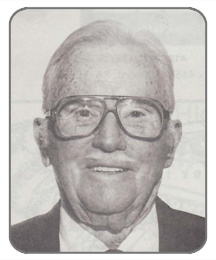 Began college football officiating 1956 -worked almost 300 games. Refereed Army-Navy, Harvard-Yale, Clemson-South Carolina, Pitt-Penn State and WVU. Peach Bowl, Liberty Bowl and Independence Bowl. Refereed last game coached by Bear Byrant. Charter member of Major Independent Officials Association. Part­cipant in Master’s Competition, West Penn Track Club. 4th in 10 meter and 6th in 200 meter -World Masters Track and Field Championship in 1975.Education System. Westminister College: lettered football, basketball, base­ball. Coached football, basketball and track at Elizabeth High School and Homestead High School. 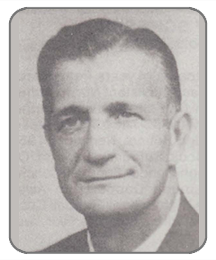 Officiated foot­ball 1934-62: over 200 major college football games including S~gar Bowl, Gator Bowl, 2 Shrine Bowls and the only Great Lakes Bowl in Cleveland. Assigned to conduct a football clinic at Garmisch, Germany for U.S. Air Force. Received ECAC Gols PassAward 1962, honored by Dapper Dan 1954 for officiating excellence. Fifth Avenue High School. Tri-County Sandlot Baseball League -premier player. 18 years as pro player, 9 in major leagues. Drafted by Pittsburgh Pirates at age 17 and played 1950-56. 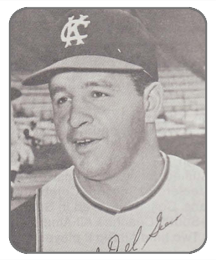 Also played for St. Louis Cardinals, Yankees, Cubs, Kansas City Ahtletics, Phillies 1965. Lifetime batting average .229. Considered one of the most talented defen­sive out-fielders. Played various All-Star teams in AAA. On pennant winning Yankee Team. 50 years involved in Western Pennsylvania Soccer. Member U.S. National Soccer Hall of Fame. Played on U.S. National team which upset England 1-0 in 1950 World Cup in Brazil. Played in 9 National Cup Finals and won 7 West Penn cups, 8 Keystone League Championships and the 1939 National Junior Cup championship. Received Dapper Dan Award for soccer in 1971. Coach high school basketball 29 years -St. James, St. Canice, St. Elizabeth. 4 State Championships, 2 State runners-up. Overall record: 537 wins, 202 losses. St. James state record with 66 straight victories. St. Canice baseball coach 19 years-3 championships. Played baseball, basket­ball, football at St. George High School -All-Catholic basketball 1937. Baseball tryout Pirates & Cardinals. Oklahoma State. Steeler 1969-81, 177 games -offensive tackle. Starter in Super Bowls IX, X and XIII. Third round draft choice in 1969 (Chuck Noll’s first season). Won NFL strong man competition in 1981. 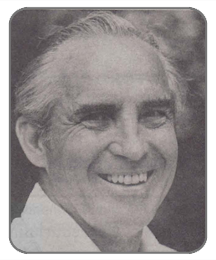 1982 named Steeler’s Conditioning coach, assumed duties as defensive coach in July, 1982. Member of Steelers 50 Seasons Celebration all­ time team elected by fans. 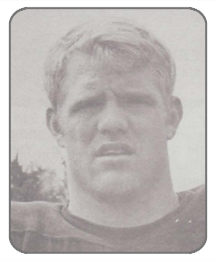 College: Played in Senior and American Bowls; North-South, Coaches All-American and College All-Star games. Two time All Big 8 player. 13 open class Softball World Tournaments. Played 1955­1982. Coached St. Mark’s CYO Basketball for 7 years -6 section titles and one diocese championship -1962. Stowe High School -4 year starter pitcher, record 20-4. Won 4 section titles. Managed Pittsburgh Hardhats 1976-77. Manager and commissioner Little League Baseball 12 years. Manager Whitehall American League. Member of Greater Pittsburgh Umpire Association. Played shortstop World Champion Softball Teams 1962,64,65,67,69,82.All World 62, 64, 69, 82.1965 and 1966 had 102 game hitting streak. Lettered football and baseball at Stowe High School. Coach St. Mark’s Diocese Championship Team 1962 (30-1 record). South Hills High School-3 years Varsity, Shot &Discus, City and State record Discus. All-City Basketball 1956. Pitt: record holder shot an discus, winner Ohio relays, AMA of AAU Champion. Captain Pitt Track team, scored high in Penn Relays, IC4A’s, and NCAA’s. ECAC Athletic-Scholarship Award, Team Physician for University of Miami, Professional Baseball and soccer teams, Medical Director for Yankees, Texas Rangers and LA Dodgers. Chief of Surgery North Beach Medical Center. Founder and Chief of Sports Medicine of Broward County. Farrell High School 1962 Valedictorian. Duke University 1966 honors: 1st All-State Basketball, selected to numerous All-American teams as a member of Duke Basketball team. Reached NCAA finals during his career on two occasions. NBA 1966-77: Baltimore Bullets -1st round, 2nd pick Draft; Houston Rockets, Buffalo Braves, Chicago Bulls. Selected to All-Stars on 2 occasions. Top foul shooter -90%+ average. 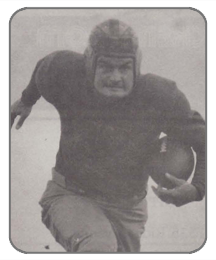 St. Vincent: Captain 1942, All-State Center. Philadelphia Eagles 1944-45, winner of Robert French trophy in 1945. Detroit Lions 1948 -center and linebacker. Coaching: 1951 Bellmar High School: record for 14 years 84-38-7, unbeaten 59 & 63.1965-80 Thomas Jefferson High School: “Big Ten” titles in 1967, 68, 69, 71 (shared crown with Monessen 67 & 69). 1980 won WPIAL AAA. Record at Thomas Jefferson: 119-36-1. Total career record: 203-74-8. 1983-86 assistant at Elizabeth Forward. Waynesburg College foottqll 1933-36. 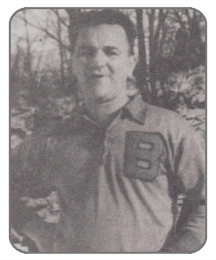 Played & coached McKeesport Olympics semi-pro football 1937-41. Fort Benning Doughboys 1945. 1938, 39, 40 Waynesburg College Hall of Fame. Mon-Valley Hall of Fame. 1950-55 Coach Redstone High School. Fayette County Champs 1952, Big Six Champs 1952 (Mon Valley). 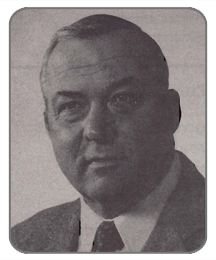 Coach North Braddock Scott 1956-62; Monongahela High School 1963­-64. Big 8 Champs 1963, Big Ten 1964; General Braddock 1971-74. 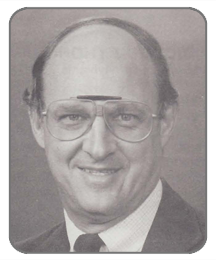 Athletic Director 1971-79. Sheffield High School -Valedictorian. Joined Pittsburgh Pirates May 1964 as Secretary of Public Relations. 1979 named Assistant Director of Public Relations. Helped operation of Three Rivers Stadium Scoreboard 12 years for baseball games -assisted ABC and NBC in announcing booth over the years as statistician. Honored by Pittsburgh Chapter of Baseball Writers Association with plaque on 20th anniversary of the club. Helped in Organization of Gus Fan Club in 60’s with Frank Gustine. North Catholic High School-football 4 years. Penn State-4 years football, basketball. 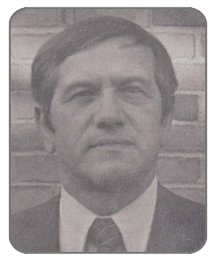 Coach: Assistant North Catholic, Head Coach Millvale, North Catholic, Norwin, Southern Regional, Moon High Schools (1950-74). 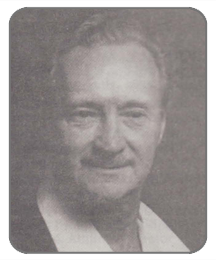 1969 to present Athletic Director of Moon High School. Recipient 1957 ­Pittsburgh Sun-Telegraph Jock Sutherland Award Out­standing Achievement as High School Football Coach at North Catholic. 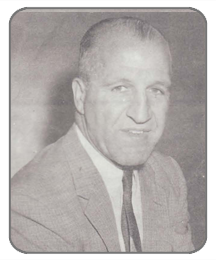 1959 Pittsburgh Dapper Dan Award, Outstanding Achievement as High School Football Coach. 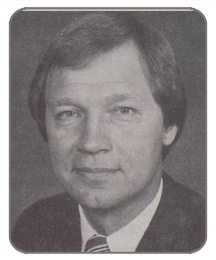 Director of Athletics 1979 West Hills Man of the Year Award. Graduated Plymouth High School and Pitt -played football, basketball, baseball and track 4 years. 1949 -Philadelphia Eagles. University of Pittsburgh 1945-49.1946All-East, All­State, Notre Dame All-Opponents, All-American mention ­East-West Game 1946. Blue Gray 1949 -invited to college All-Star Game 1946. Scott Twp. High School 1950 -High School All-State 1949. University of Pittsburgh 1954 -Football end 1946-50, and punter. Pittsburgh Steelers defensive end 1954-55, also punted. Pitt -letterman 3 years. Jessop Steel Co. salesman and manager 1956-67. 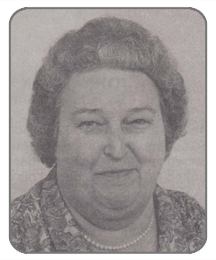 Owner Cherry Hills Inn and Resort, McDonald, PA 1964 to present. 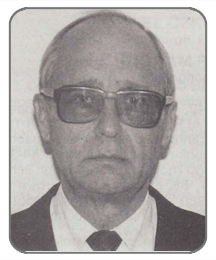 Please Note: The information on this page is, as it was posted in the program for the 1987 Annual Dinner.